There are some questions about fibromyalgia that seem to come up over and over again. So I thought I'd answer 10 of the most frequently asked in this article. 1. Can fibromyalgia cause a "pins and needles" sensation? Fibromyalgia can cause a whole range of nerve sensations, including "pins and needles." They occur mostly in the hands and feet (called paresthesias). If you don't have other nerve symptoms, such as severe localized numbness or weakness, having occassional tingling shouldn't give you unusual cause to worry. Other types of nerve pain are also common in FMS, and natural nutritional aids can be very helpful in promoting a healthy nervous system. 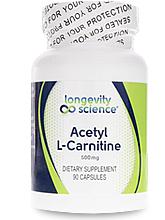 Nutritional supplements that support a healthy nervous system include daily doses of magnesium (200 mg), vitamins B6 (25 mg) and B12 (500 mcg), acetyl L-carnitine (1,500 mg), and lipoic acid (300 mg, twice daily). Effective medications for nerve pain include Neurontin, Ultram, and Cymbalta (and many others). 2. Can fibromyalgia cause muscle twitching? Visible muscle twitching, called fasciculation, is also common in fibromyalgia. Properly addressing fibromyalgia with the S.H.I.N.E. protocol (Sleep, Hormones, Infections, Nutrition, Exercise) decreases the twitching. Magnesium is especially helpful. 3. Can fibromyalgia cause pain on the top of the skull? Yes it can. Fibromyalgia can cause a lot of different pains in a lot of different places. Sometimes it's sharp, electric, shooting-type nerve pain. But more often it's muscle pain from "trigger points" — either the bunched up "bellies" (middle) of tight muscles or tender points where tight muscles attach to bone. Pain on the top of the skull is usually from tight muscles in the back of the neck, where they attach to the base of the skull. This pain "refers" (travels) to the top of the skull and also behind the eyes. 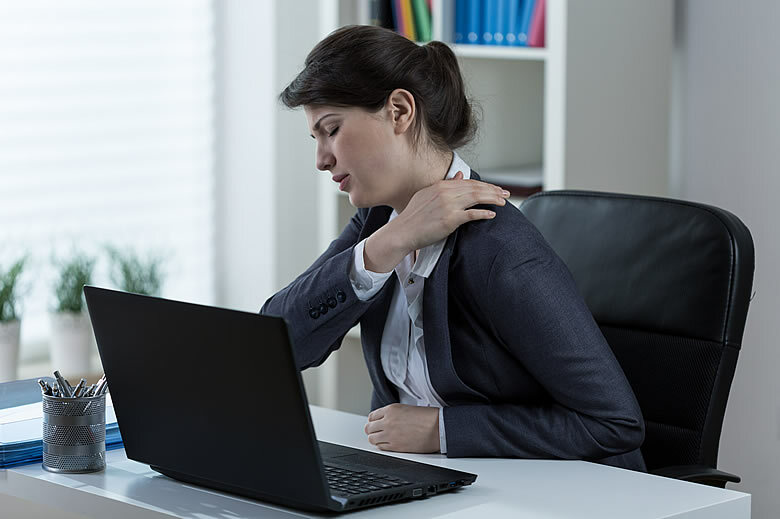 Sometimes, another type of pain called allodynia — when even just a light touch on the skin is painful — is also present in fibromyalgia. 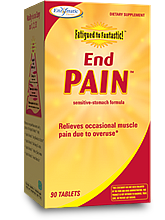 Fortunately both pains generally respond well to addressing fibromyalgia with S.H.I.N.E®. 4. Can fibromyalgia cause shortness of breath? Hyperventilation. If when you're short of breath you also feel like you can't take a deep enough breath, if you have numbness and tingling around the lips and perhaps in the fingers, if you're dizzy, and if you're anxious, then the problem is most likely hyperventilation. Basically, this is a severe anxiety attack — probably caused by feelings that you've previously buried that suddenly bubble to the surface during a period of relative calm, such as watching TV or driving a car. One way to stop hyperventilation is to let your stomach expand at the end of each breath, which allows more air into your lungs. Feeling unable to take a deep enough breath, without associated anxiety or dizziness. This is very common in fibromyalgia, and is usually caused by tight muscles in the chest. A study conducted about 15 years ago by the excellent physician and acupuncturist Neoh Aum Choo showed that the acupuncture points at the back of the skull (three on each side) can relieve this sense of breathlessness in fibromyalgia. On exertion. This is the least common type of breathlessness in fibromyalgia and requires a medical evaluation to rule out a serious heart or lung problem. 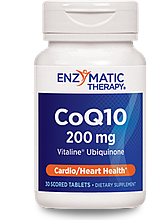 Once such problems are ruled out, supplementing with ribose, coenzyme Q10 and acetyl L-carnitine can help. 5. Are there effective medications to address fibromyalgia pain? Three medications have been approved for fibromyalgia pain: Savella, Cymbalta, and Lyrica. They can help but they're also quite expensive — and older medications, available in cheaper, generic forms, are often more effective! These include Neurontin and Ultram, and also Skelaxin, which should go generic soon. Natural remedies can also relieve pain — without the side effects and at much lower cost. 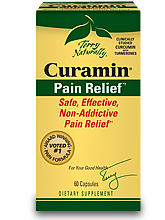 Try a high-potency herbal supplement based on curcumin, such as Curamin® or an herbal supplement that provides relief for muscle pain, such as the End Pain Formula™ (with cherry fruit extract, boswellia and white willow bark). You can take those two natural supplements together, and also combine them with pain medications. 6. Is fibromyalgia just a form of depression? No. Fibromyalgia and depression are two very different conditions. Fibromyalgia is characterized by widespread pain, insomnia, severe exhaustion, and cognitive dysfunction — and is often a very severe illness. And depression can (and often does) accompany almost any severe illness. That's why one out of eight people with fibromyalgia also have depression. But they are two separate processes and need to be addressed separately. Unfortunately, many physicians blame the fibromyalgia symptoms on the depression. That's like telling someone with cancer and depression that they're just depressed, and then denying them health and disability benefits for their actual disease! This is not only wrong-minded and unethical, it's also downright abusive. How to distinguish between fibromyalgia and depression? Depression is usually associated with sadness and lack of interests. Fibromyalgia is usually associated with many interests, but with frustration over the lack of ability to do them. The two conditions are also very different biochemically. For example, cortisol levels are usually high in depression but low in fibromyalgia. Bottom line: fibromyalgia and depression are very different conditions, but both may be present in the same person. 7. Why do my arms hurt when I'm running on a treadmill? Probably because you're using muscles you don't usually use, to either hold on to the bar or to keep your hands elevated. Instead of holding on to the bar for dear life, rest your arms gently on the bar, letting it support your weight. 8. Is fibromyalgia causing my fever? Although people with fibro often feel feverish, they normally have low body temperatures, under 98.6ºF. That's why I consider any temperature in fibromyalgia over 98.6ºF to be a fever. And if have a persistent temperature above 98.6ºF, you should look for evidence of an infection — typically sinus, dental, lung or bladder infection. For chronic sinusitis, addressing the issue with antifungals is a must, because fungal infection is the root cause of the condition. However, an obvious source of infection is usually not found. In these cases, I recommend taking a six-week trial of antibiotics (either doxycycline or Zithromax) to see if it helps the fibromyalgia symptoms. (See Treating Hidden Antibiotic Sensitive Infections in CFS/FMS). I'm amazed at how many people I've found had seen their fibromyalgia symptoms improve after being on a course of antibiotics — but then their doctor refused to repeat the antibiotics. If one of my patients say they've had that situation, I prescribe an extended trial of the antibiotic, as it usually continues to improve the fibromyalgia. 9. What causes fibromyalgia pain and how do I make it go away? When you put your hand on a hot stove or break your leg, the cause of the pain is obvious. But when metabolic problems trigger pain, the cause isn't so clear. And in fibromyalgia, pain is usually caused by a body-wide energy crisis that locks your muscles in a shortened position, eventually causing widespread chronic pain. In addition, chronic pain triggers "central sensitization," where your brain amplifies the muscle pain. The tight muscles also cause secondary nerve pain. This is the source of pain in fibromyalgia. Fortunately most people with FMS can get pain-free! 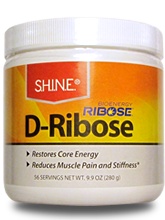 Our published, placebo-controlled research shows that when you address fibromyalgia with the S.H.I.N.E. protocol, pain usually goes away — to a level where a person no longer even meets the definition of having fibromyalgia! Just read these testimonials. 10. How can I effectively address my fibromyalgia? For more information, see my article "Eliminating Fibromyalgia Pain." You can also learn more by reading my books From Fatigued to Fantastic!, Real Cause Real Cure, and Pain Free 1-2-3! In addition, I am available for phone and in-person consultations. Also, The American Board of Integrative Medicine (ABIHM) includes over 1,500 board-certified holistic practitioners who can help you. It's time for you to get your life and health back — now!